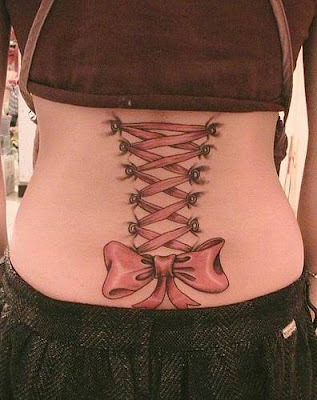 Bustier and Bow tatoo designs. This tattoo design can save you some money on clothes :). Some people just love those kinds of novel tattoos and others love tattoos with meanings.